RAAM Construction Ltd are vastly experienced in working cohesively with housing associations, local authorities and private clients within London, tailoring our services to each client so that we meet and exceed their needs and criteria. Therefore, we understand the importance of customer service and endeavour to communicate effectively with both existing and new clients. We complete Voids and Planned Maintenance works on time and to the standard required by the client, while ensuring that all costs are within their budget. Our highly-skilled operatives are trained to work in both occupied and unoccupied properties, and are regularly trained so that they can effectively deal with any situation that arises. Here at RAAM Construction, we have highly skilled staff available 24/7 and 365 days a year, ensuring that properties are well maintained and that any concerns our clients have are addressed as soon as possible.We endeavor to meet our clients’ KPI, through effective communication and supervision. We have experience with working with both small and large void properties, ensuring that every single one is efficiently completed to the highest standard. This work very often includes: Decent Homes kitchen and bathroom replacement, electrical rewire, new central heating system, roofing, window replacement, flooring, decorating, asbestos survey and removal. 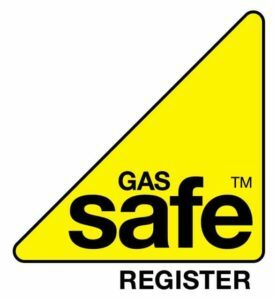 In addition, we regularly provide gas (CP12), electrical (NICEIC) and Energy Performance Certificates.